Saraswati Pujo is a few days away and this is the time of the year when my Dida's Gota Seddho drifts up in my memory, which is otherwise inundated with a lot of fluff. At all other time, the Gota seddho is pushed beneath deadlines, middle school tests, elementary school valentine's day, snow forecasts, and seasons of Parenthood yet to be watched on Netflix. I don't think of Gota seddo at any other time of the year but come Ma Saraswati and this post hovers in my sub-conscious. I don't usually make it. I am not sure if I will make a Gota seddho this year either. The whole essence of eating gota seddho during the season is not lost on me though. I appreciate the immunity boost that these vegetables gives at the turn of the season. 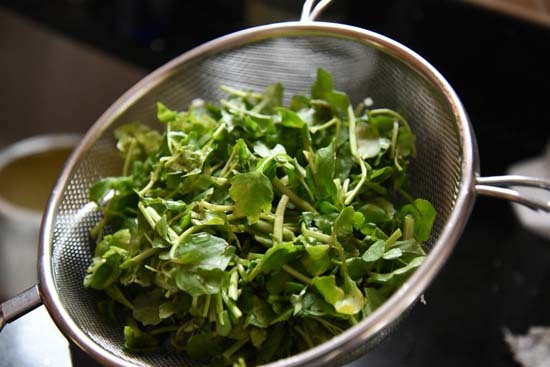 And to do my part, today I have all greens in my blog. The Asian Market in my town is a veritable feast of leafy greens all year round. When I say Asian Market, it actually means Chinese/Korean market, teeming with fish, noodles, variety of sauces and unfamiliar vegetables. They have greens there like no bodies business and with names that no one would have thunk. 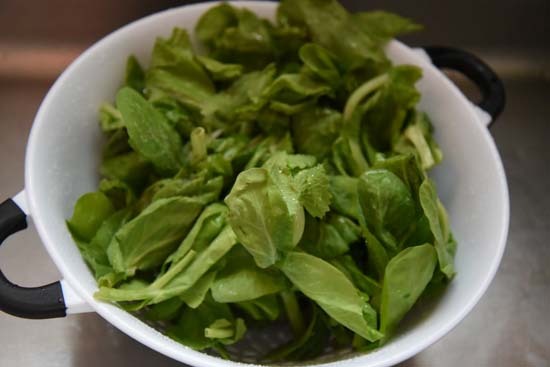 I have learned not to be flabbergasted by the names though and with help from some of my blog readers, I confidently buy watercress and Yu Choy from there. Baby Bok Choy is now my favorite green. Now my side of the family was never big on different variety of greens but the husband-man's is. 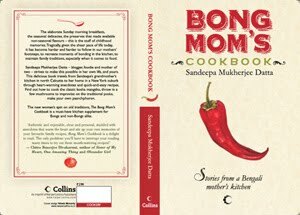 His mother usually makes a lot of different kinds and cooks them in innumerable ways. The last time that we visited them, my mother-in-law made a mean "mulo-shaak baata", radish greens sauteed and made into a paste. I think the "baata" or turning every thing into a paste is more of a East Bengal thing and I must say it is brilliant idea. The "mulo shaak baata" tasted really amazing. 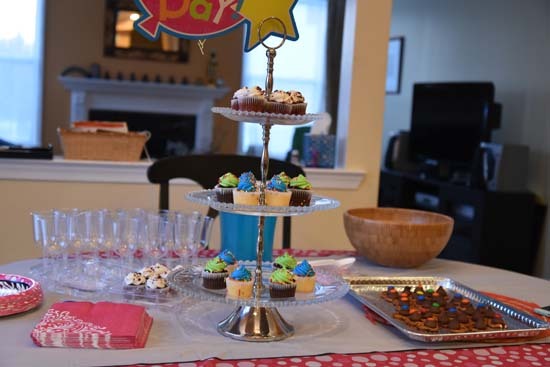 Last weekend some of Big Sis's friends came home for a late birthday celebration. And by late I mean months late. I wasn't sure if I was equipped to handle a bunch of tweens in my home and so was putting this thing off and trying to scout outside locations, which isn't as easy as it sounds when fifteen twelve year old girls are the focus group. I knew quiet a few of the friends who were supposed to come and they are all excellent girls but I didn't have confidence in myself. I mean, you see I am vertically challenged and most of these seventh graders are taller than me, and I think that if a situation turns to chaos no one might listen to me! Yeah, I am weird like that. However BS assured me that it would be fine at home and so finally a Saturday evening was blocked off for them. 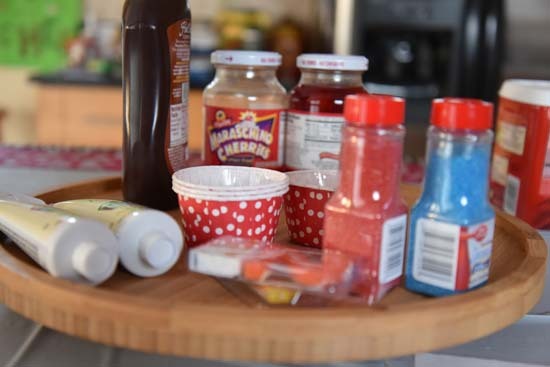 I asked around for suggestions in a Mom's group and came up with some neat craft ideas. Seriously pretty neat. One of which both Big Sis and I loved was chalkboard decorations. So off we went to the craft stores and got chalkboard for each girl. 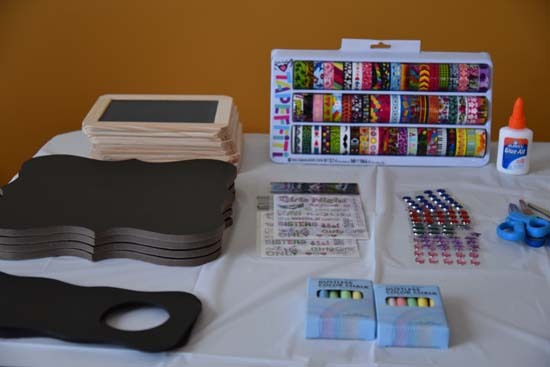 We also got colored chalk, decorating tapes, jewels and stickers to decorate the chalkboards. 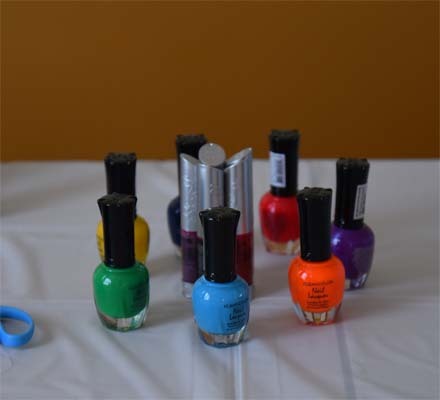 Given that Big Sis loves nail paint, a bunch of nail polish and nail art pens were also bought for a session of nail art. Not to be left behind, Little Sis shared party games from her class parties and created a Hot Potato kind of game for her sister's friends. 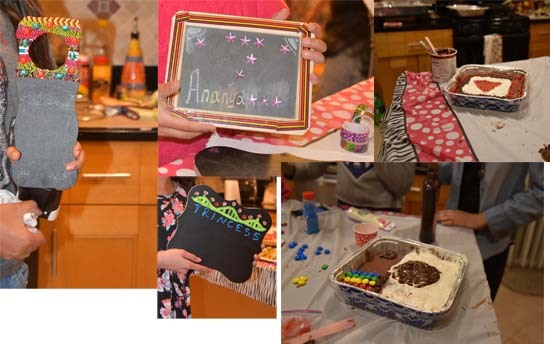 We also decided on a brownie decorating competition with two teams and in preparation baked two exactly same chocolate brownies on Friday night. By Saturday morning, I was all pumped up. More than Big Sis in fact. The husband-man didn't want to play any part in this whole thing except ordering and picking up pizza. The only other person as excited as me was LS! She and Big Sis set up the activity area and the games while I concentrated on the food. The girls had a great time from the look of it. The chalkboards were super amazing and the brownie decoration literally took the cake. One team did the YouTube logo while the other the Instagram logo. The teams put their heart into it and with the limited supplies I had offered, pulled off really cool stuff. I would love to host them again soon as I found it is easy to make these kids happy. It involves minimal work on my part and I can even spend time watching television in my own room while they do their own thing. Yeah, that is a big motivation indeed! Place the pretzels on a cookie sheet. 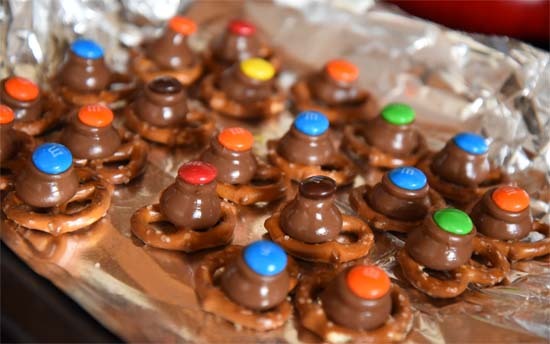 Unwrap a Hershey kiss and place at the center of each pretzel. Put the pretzel tray in the oven. within 1-2 minutes the kisses will soften. If you keep it any longer the chocolate hardens. Yep, I have learned it the hard way. Take out within 2 minutes. Gently place a M&M on the tip of the Hershey kiss and press down softly. While prepping for the party and asking around for appetizers, I had a brainwave. Zap! 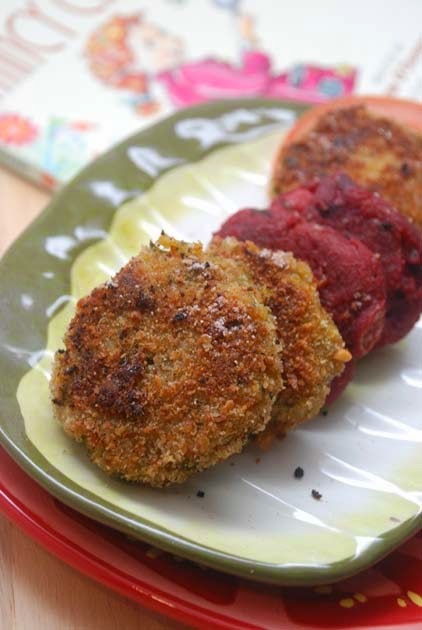 Okay nothing great but just that I searched up my own blog and dug up five snacks that are easy to make and make great appetizers for any party. With Super Bowl on Sunday, pick any of these and have a blast watching the ads. These are great to make for parties. 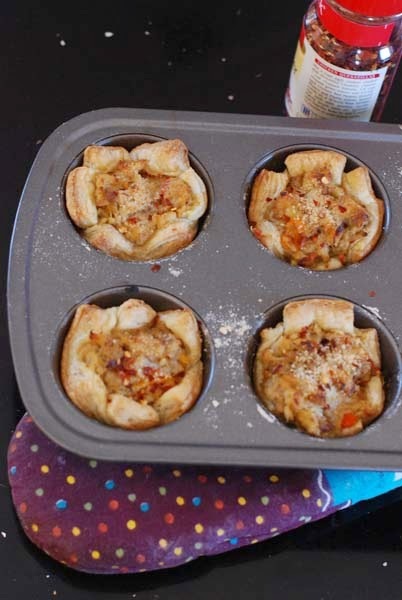 You can try various different fillings for these Tartlets. 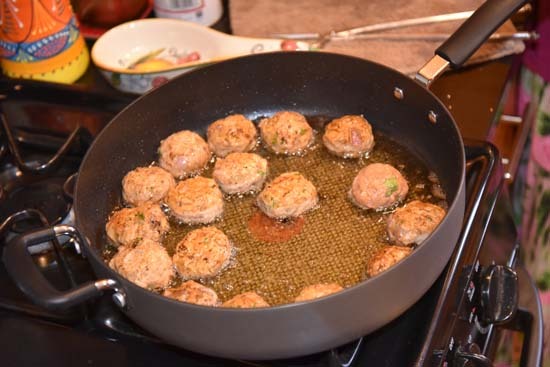 You can do these balls with less spices as in this recipe or for a meatballs with more kick try this one. Now I do not have a picture of this but we make it often and it is a huge favorite. No wonder I don't have a picture of it. I cook the ground chicken like this recipe from my blog and then I follow Pioneer Woman's Loaded Nachos recipe very closely for the rest of the steps. And we use Trader Joe's Taco seasoning. This one is a ROCKSTAR.